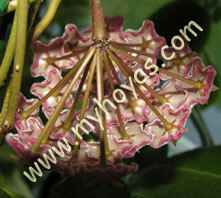 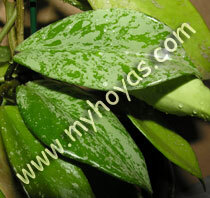 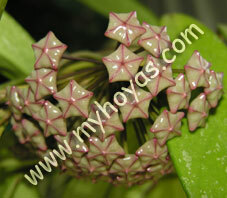 I bought this Hoya as a large plant in October 2002. 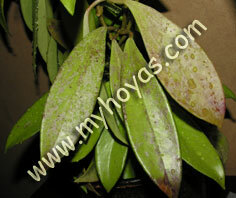 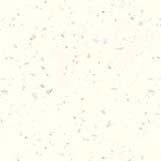 I already had two pubicalyx, but this one has (in my opinion) the nicest foliage with all the flecks. 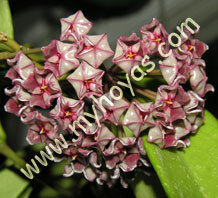 I have this Hoya growing in a western window (protected from the sun) where it grows fast and I've cut it back some this year so we'll see if it flowers as willingly as during 2004. 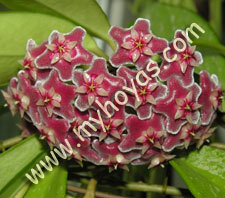 My plant flowered the first time in April 2004 and this pubicalyx has flowers that are pink with white coronas.